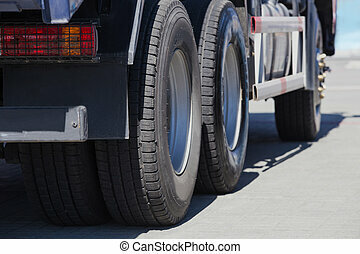 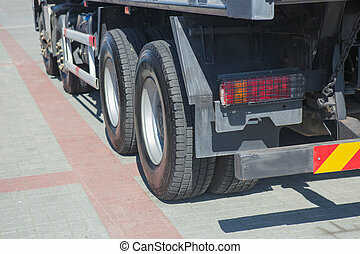 Close up lorry truck on road. 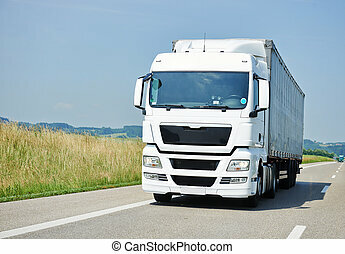 White cabin and part of lorry truck body moving on road. 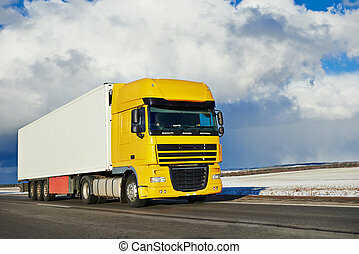 Single truck with blue-yellow cabin and white trailer moving on asphalt road (on highway) over bright sky (front view). 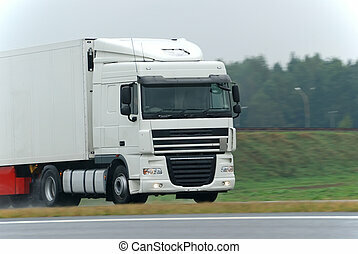 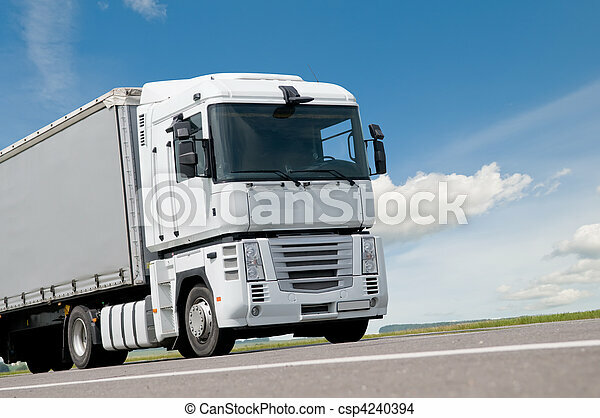 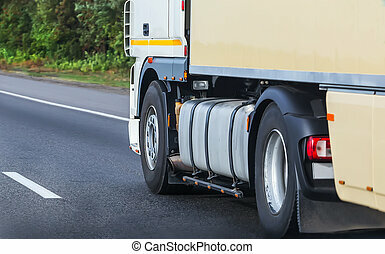 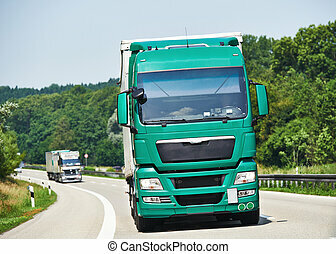 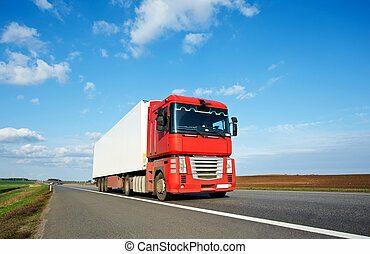 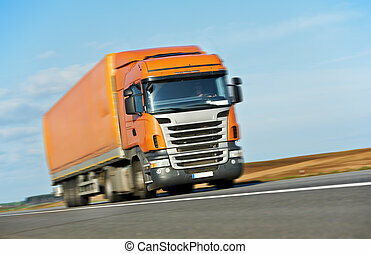 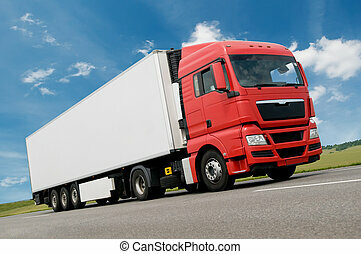 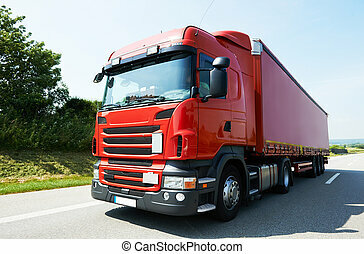 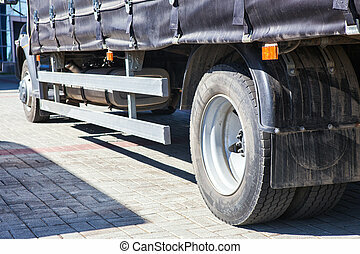 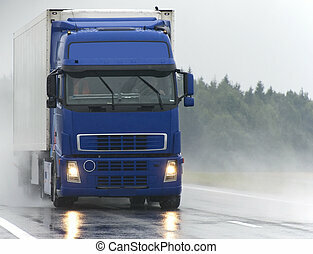 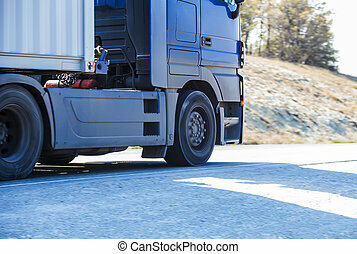 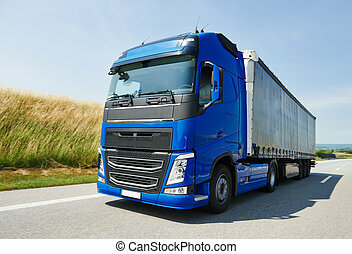 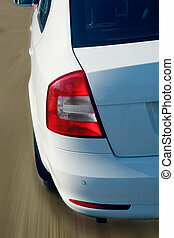 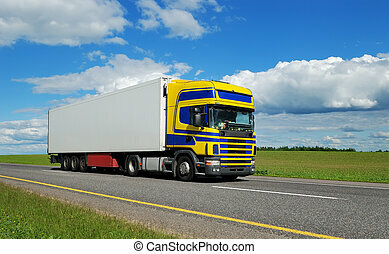 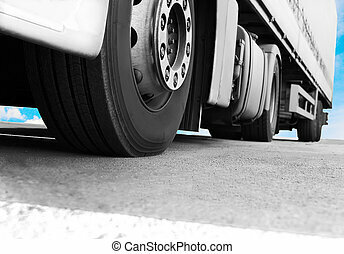 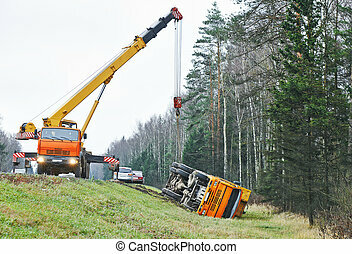 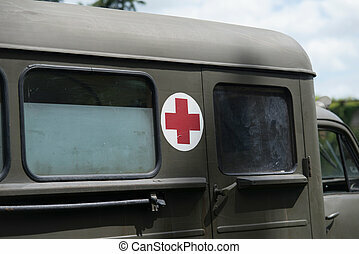 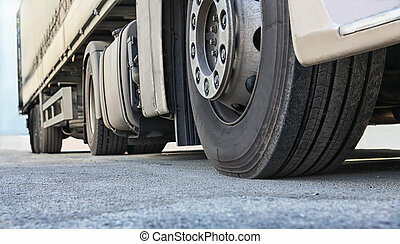 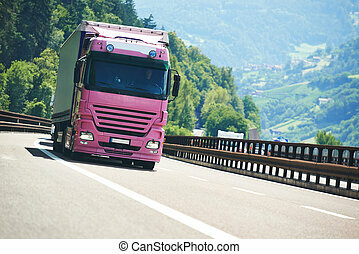 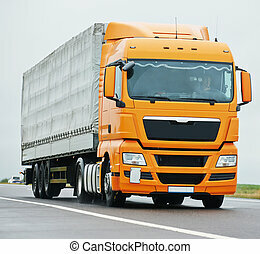 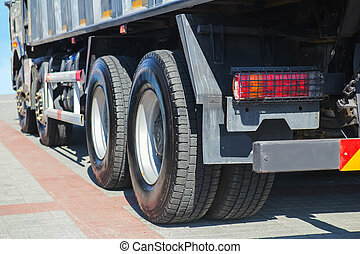 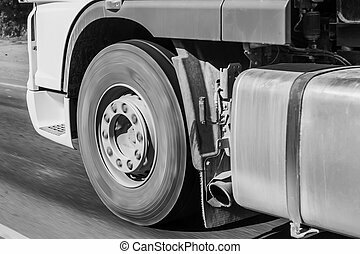 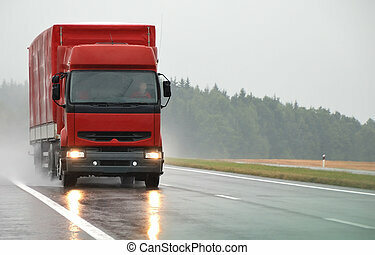 See my portfolio for additional beautiful trucks and lorries.